I've never been a big meat eater, just not my thing. I always preferred seconds of veggies or potatoes, which was probably a good thing as I was surrounded by them growing up on a fairly large vegetable farm on the Holland Marsh. At the same time, I've always been very much an animal lover and overly sensitive when it comes to their treatment, so again it's lucky I grew where I did, and not on a live stock farm. So it only seems natural that I might be drawn to a vegetarian life style. My first foray into meatless living began about 1992. I was married and had 2 small boys. They, and their father, ate what you might call 'normal' food and I ate everything but meat. My intentions were good, but I must admit I was clueless about what I should be feeding myself in the way of protein. This vegetarian experiment ended in mid 1993 when I was expecting my third son. I knew that I was likely not getting all the nutrition I should be getting, and I didn't want my baby to suffer because of it. This past fall, nearly 20 years later, the timing was right once again to see if I could follow a vegetarian diet successfully. All the hullabaloo about tainted beef from western Canada and horse meat secretly added to meatballs in the UK pushed me to my personal limit with the meat industry and my quickly waning trust in it. Since my last meatless adventure, so much has changed! The internet has opened has opened up unlimited access to recipes, restaurant listings, shopping, websites offering information, support and advice. Grocery stores now carry an ever expanding array of vegetarian and vegan food items. Restaurants are much more accommodating to meat free diners today. The chances of choosing to eat vegan or vegetarian in a healthy and flavourful way are much increased since my first dabble. Enter Rawlicious Barrie. Located at 50 Dunlop St. E., which once housed a Second Cup location as you might recall, this small bee hive of activity is the hub of a constantly growing movement towards healthy eating in Barrie. The company website http://rawlicious.ca/canada/ says "Raw, vegan & organic restaurants helping you feel good about what you eat." and Rawlicious Barrie certainly is that. Until recently, I had never been inside Rawlicious Barrie and only knew of it by name. While planning a culinary tour in the downtown area, Rawlicious Barrie's owner Jessica Valiant was quick to jump on board with the idea and extremely enthusiastic about spreading the word about her unique cuisine to more Barrie-ites. Her little eatery is decorated in warm Mediterranean tones, with modern meets cottagey, including tables and cupboards made from reclaimed furniture painted off white. From what I saw, her clientele is a happy mixture of obviously health conscious retirees, well informed young professionals and what my kids would call hipsters. And I must point out too that Jessica is probably one of the healthiest human beings I have ever seen! On May 8th, Rawlicious Barrie was the second stop on a 4 restaurant food adventure through downtown Barrie. Some of the 15 food tourists had been in before, but most had not. Jessica quickly, knowledgeably and passionately explained her vision and her menu offerings to us, as I'm sure she does very often given that her cuisine is so new to many of us and perhaps even a little scary to some. Most of us were raised to believe that every meal has to be built around a steak or a porch chop, so it's an entirely new concept to many. Jessica is a registered holistic nutritionist and sure knows her stuff! Before we were presented with our meal of zucchini 'noodles' with green pesto sauce, she explained how the noodles weren't pasta at all but spiralled vegetables made by using a very cool, unique machine called a spiralizer. Check it out at amazon.com or Jessica has them for sale too. What a great idea for those watching their carb intake too. I have not yet had the opportunity to eat a full meal at Rawlicious Barrie, but I certainly intend to. I have already scanned the menu and I'm pretty sure I would try the pad thai and sample an organic beer, but I might have a really difficult time with the dessert menu decisions - carrot cake, cheese cake and key lime tart! I cannot ever remember eating at a restaurant where the owner cares so much much about the well being of her customers. I'm not ready to embrace a full on raw food diet, nor am I a true vegan either, but it's good to know that there are options for diners in Barrie who want to pursue this way of life and be so well cared for and catered to by Jessica and her wonderful staff at Rawlicious Barrie. Want to learn more? Here's a very informative interview with Jessica from GoodLife Magazine Want to really learn about Rawlicious Barrie? Drop in! What a spectacular Victoria Day weekend in Simcoe County! Most years, the sky is leaden, the air cold and the rain falls endlessly on whatever activity the eager holiday makers are attempting. I always admire the bravery of the die hard campers who brave the iffy weather and clouds of black flies to kick start the all too brief Canadian summer. This year, the May 2 - 4 weekend has been kind to us summer lovers. I'm not brave enough to tackle a camping trip this early in the season, but I did do a safari of the local garden centres to gather the annuals I need for my planters and hanging baskets. We got some great deals at Canadian Tire on Bayfield St., but we always like to take a peek into the unique little garden centre in Midhurst just before the turn off to Highway 26. I believe it is called the Springwater Fruit Market, but this time of year it is just loaded with unusual plants, very healthy and well priced perennials and super colourful hanging baskets. The Asian couple who run it are very sociable and quite humorous too. It's worth a look inside. Couldn't resist some interesting coleus and for the kitchen, some dill, purple basil and curly parsley. It was just coming up to noon when we decided we were hungry. Ron knew of a little coffee shop in Midhurst that advertised 'All Day Breakfast' so we made our way back towards Barrie and pulled into the little plaza at 1179 Bayfield St. N., that also houses a Mac's convenience store and several other businesses. As we approached the door of the Midhurst Coffee House, we noticed a little sign that read 9:00 a.m. - 1:00 p.m. for the holiday Monday hours. We weren't sure how pleased the owner would be to see such late comers as ourselves, but she was unfazed, in fact she welcomed several other tables of diners in long after we arrived. Ron had breakfast on his mind long before we set foot on the property. He has this theory about trying new coffee shops and diners. "How hard can it be to screw up breakfast?" he says. So he always has bacon, 2 eggs over easy, whole wheat toast, home fries and coffee. That's a pretty good baseline when you think of it, a perfect measuring stick from which to measure all similar eateries. I'm a little more of a wild card. I like to mix things up a little and I'm also 90% vegetarian these days. Most mom and pop eateries have 1 vegetarian omelette on the menu and that is what I am mostly likely to order, if presented with a breakfast menu. Today I'm in luck, as the Midhurst Coffee House offers a vegetarian omelette, but also a spinach and swiss cheese and a greek omelette too. I went for the greek omelette and I was not disappointed. It was very, very nice - just the right combination of tomatoes, green peppers, onions and feta. No one ingredient overpowered the other. It came with perfect rye toast and a nice amount of home fries. I was not as crazy about the type of home fries I had, but my husband gave them rave reviews! Apparently he likes them square and crispy and I like them round and softer, and that's what makes the world go round! Behind the glass of the refrigerated cabinet near the front cash, was a nice selection of what looked like home baking - butter tarts, iced carrot cake and other assorted yummies. I saw some good looking pre-made sandwiches and bagels too, all the makings of a nice picnic to take to Springwater Park for the day! The restaurant is a nice size, clean, homey, staffed with friendly people and obviously quite popular with local folks and seniors. I heard one "See you tomorrow!" from a group of departing diners. That's certainly a good sign, I would venture. The coffee was good and the refills were constant - who can ask for more than that? Ron was slightly miffed that there was no debit machine and he had to hike 30 feet to an ATM at Mac's, but that was only a small inconvenience. I'm sure the regulars are fine with paying by cash. Final verdict? Yes, I would eat there again. Good Morning, Barrie! Say 'Hello' To A Foodie Girl. Mother's Day is not long past, as I write this, so there's still a bottle of Carolans Irish Cream Liquor on the counter top next to the coffee maker. It's nice little thing to look forward to, that cup of slightly boozy joe ... after I drive the kids to school, of course. So now you know I have kids. I have five in fact, four boys and 1 girl, all now teens and young adults, the last two arrived in a pair just to make life interesting. I should mention that all five were born in the span of six plus years, beginning in 1990. The nineties is my missing decade. Those were the years of breast feeding and non stop diapers. Those were the years where getting a shower was like a mini vacation and my lunches were slapped together peanut butter sandwiches and ginger snaps! Once upon a time, before my little ones stampeded into my life and before I met my husband of nearly 24 years, I signed up for the Food Preparation (now called Culinary Skills) course at Georgian College here in Barrie. I packed up my belongings and left my home on an isolated farm on the Holland Marsh, for the big city of Barrie, population 45,000 souls. The Food Prep program was in it's infancy then too, as even Georgian's Barrie campus consisted only of 3 buildings, and the student population hovered somewhere around 3,000. That was in 1982. I haven't found a good reason to leave yet, so I here I am, still in Barrie today. In thirty plus years, I've seen quite a number of Barrie eateries come and go, and I've worked in the kitchens of several as well, some good and some atrocious in varying ways. The bad ones are gone, but you would be surprised how popular they were in their time. Feel free to comment any additions that come to mind, but the only dining establishments that I can recall from my earliest days in Barrie that still operate today are the Crock & Block, Midway Diner and Players. I would be happy to learn of more. After I finished my schooling, I began collecting the required work hours that I needed to write my cook trade papers exam and earn a red seal, that would entitle me to work as a qualified cook (chef if you prefer) anywhere in Canada. I didn't mind the terrible hours or low wages, as I was working towards something bigger and better. One summer, I travelled to Scotland and worked in the kitchen of a 400 year old in, which was fabulous experience seasoned with some old school apprentice abuse by the chef and a liberal dash of home sickness. Again, I was on my way to a red seal and then everything would be wonderful! You sense a but coming, don't you? I earned my red seal in the first half of 1985 and learned some harsh lessons at the same time. First, I was told straight out by the manager of the restaurant I was working at, that they could train someone off the street to do the same job, so why would they pay me more money simply because I was experienced, educated and licensed? Disillusionment number two was that some restaurants were quite vocal about their policy of hiring male cooks only. I was young and Barrie was much smaller then. Likely, if I'd stood up for myself or relocated to Toronto to find meaningful work, I wouldn't have burned out, but burn out I did. I took factory work for a number of years and was overjoyed with the prospect of working 8 - 4, Monday to Friday, like normal people do! Honestly, it suited me fine at the time and I made some good friends there. Next, I married and started my family, and as you can tell by the size of my above mentioned brood, I had no ability to work outside of the home. I would have needed a lottery win just to afford the day care for them all! So I did a little day care myself, and a little Avon, Discovery Toys and later on started my own small catering business I called Thistle Occasions. I worked from home, producing party platters for funerals and showers and creating custom wedding cakes. Today, I still do a little catering, mostly special orders from friends and family. I had once promised myself I'd never work in a kitchen again, but when an ideal job option presented itself, I took a chance, another kick at the can. The ad in the paper said "Casual, call in dietary aide. 15 hours a week". I could probably do that! What I can say about working in long term care is the hours are steady, the clientèle is constant and they pay is decent, and so I stayed for 6 years. The work is also very hard, the government rules regarding food service are extremely strict and the opportunity to be creative is fairly non existant. As much as I loved it at the nursing home, I started getting the feeling that I needed a change. I wanted a new experience and so I went looking for it. That's when Dishcrawl came along. Have you heard of it? I sure hope so ... 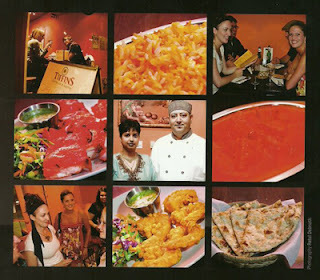 I spent many hours researching, networking and promoting it so that Barrie might know what dishcrawling was all about! In a nut shell, it's a culinary tour of four restaurants in one evening, so think pub crawl with food instead of booze, if you will. The local restaurants were extremely enthusiastic about the idea, which actually surprised me, so I had four eager beavers sign on quite quickly. On May 8th just past, I led 15 food enthusiasts on my first Dishcrawl event through downtown Barrie and I tell you I thoroughly enjoyed that evening. I expected it to be a rather business like affair, but by the end of the night, I felt like I was out on the town with a group of friends. If you're sensing another but coming, you're right. After that fun tour of downtown eateries, the Dishcrawl parent company decided they didn't wish to go forward with the Barrie market any more. Perhaps, as a city, we're not ready for it. Perhaps they didn't feel I was up to the task. Let me tell you, disappointed hardly covered it, but I'm fired up now about Barrie restaurants like I haven't been for a long, long time. In between my years dancing the night away on the Queen's Hotel lighted floor to more recently pureeing liver for the elderly in nursing home, Barrie grew up and I didn't realize it. I have just appointed myself head cheerleader for Barrie's restaurants. My recent foray back into the local restaurant scene has ignited a passion for fabulous food and awesome chefs. So I'm going to gather everything I can for you about cooking, dining, entertainment and more around this beautiful waterfront city, and put it right here for you to read. Comment away ... I'd love to hear from you! 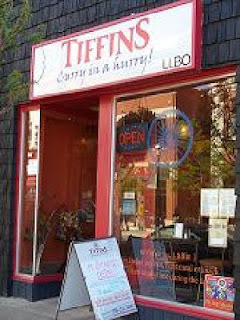 Follow me on Twitter at @barriefoodie or you can find me on Facebook too.